Extra" spoke with "X Factor" creator Simon Cowell in London, where he admitted he wished he had met screen legend Elizabeth Taylor. "I was literally only a week ago talking to someone about who we would like to meet, and I said Elizabeth Taylor," Cowell said. "Everyone who met her said she's an absolute star. They just don't make them like her anymore. She's everything I used to love about old Hollywood, the epitome of a star." Simon continued, "I don't know the last time she made a movie, but she's still as big a star today as she was 20-30 years ago. She's going to be missed, but on all accounts she had an incredible life. It's a sad day." 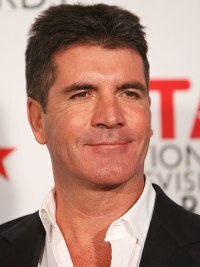 As for his judging panel on the upcoming "X Factor," Cowell isn't sure if there will be four judges or not. "I haven't made up my mind yet. Honest to god. What I do know -- and I'm feeling more confident about now -- is I'm determined to put together a panel who I like, who are fun to work with and know what they are talking about. I'm not playing the whole, 'You got a celebrity, I've got to find a bigger celebrity!' because you just end up with boring people." Tune in to "Extra" on Thursday for more of Cowell's interview.